People often associate the Caribbean with blue skies and sunshine. But for the inhabitants of the Caribbean nation of Haiti, much of its recent history has been dark and dismal. Haitians have endured decades of dictatorship followed by political instability, not to mention rampant poverty and natural disasters. And then came January 12, 2010. On that day, a powerful earthquake brought devastation to the already-fragile nation. Thousands of people died or were injured; the country’s government and social services infrastructure was shattered; and homes, hospitals, and schools were damaged or destroyed. Survivors were left without family members, limbs, and peace of mind. In short, the country is crying out for a social work intervention. 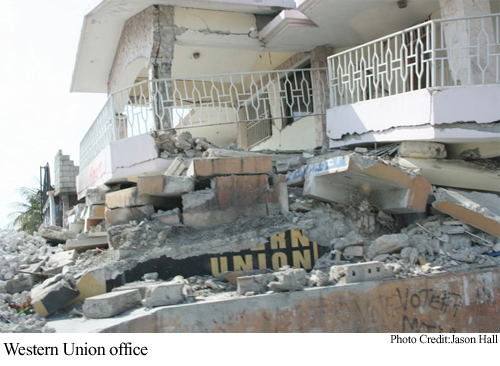 Social workers who have served in Haiti either before or after the earthquake say the disaster provides an unprecedented opportunity for the social work profession to demonstrate the power of its holistic, strengths-based, person-in-environment perspective. It is also a strong reminder of the need to better prepare social workers to act in an international context. Lassiter and colleague Darin Toliver, MSW, traveled to Haiti in March to provide social work services to earthquake victims. The two made the journey under the auspices of Project Medishare for Haiti, Inc., a Miami-based organization that promotes health-improvement and development efforts in Haiti. Neither Lassiter nor Toliver had previous experience working in Haiti, but the reports of the death and destruction there compelled them to action. Like everyone, Lassiter and Toliver had been inundated by media reports about the situation in Haiti. This was little preparation, however, for what they would encounter when their plane landed in Port-au-Prince: the smell of death and the looks of hopelessness and despair on the faces of those suffering due to injuries, illness, and malnourishment. “I could see that humanity was definitely bleeding and humanity was broken,” Lassiter says. But there was no time to grieve. During their eight-day stay in Haiti, Lassiter and Toliver engaged in play therapy with children, connecting families with resources, visiting an orphanage, gathering ethnographic data, and forging partnerships with nongovernmental organizations. They also organized debriefing sessions for other aid workers. Despite the depressing scenes they witnessed, Lassiter and Toliver also saw how much the Haitian people embodied the social work concept of resiliency. They saw people pulling together to help one another, trying to find work and trying to put their lives back together. Project Medishare has been working in Haiti for more than a decade, and many social workers have traveled to Haiti over the past several months as part of the organization’s mental health trips. During these trips, teams of social workers and other mental health professionals do grief counseling, work with patients who have lost limbs due to amputations, and assuage the overall trauma experienced for people who have lost loved ones, homes, and jobs. The need for social workers to participate in Project Medishare’s efforts has increased substantially in the wake of the earthquake, says Jennifer Browning, the organization’s communications director. There are several distinctive features of social work that make the profession particularly well suited to be a major force in the rebuilding of Haiti, Toliver says. Among these is social workers’ ability to see people’s needs in a variety of areas and to help them connect with resources that cut across disciplines. Social workers also are trained to start their work where the client is, a philosophy that is not necessarily ingrained in other helping professions, says Zola Bruce, MSSW, executive director of Unified for Global Healing, a Brooklyn, NY-based organization that plans to lead a multidisciplinary service trip to Haiti in July. Looking at the world through the client’s eyes makes it easier for social workers to provide services that empower clients while also being sensitive to clients’ cultures and traditions. The direct provision of mental health and case management services to Haitians is only one way social workers can help the country move forward. In the long term, social workers must also be willing to devise noninvasive ways to train Haitians to provide social work services for their own population, Lassiter says. “It’s about training the trainer, not about coming in and occupying Haiti,” he says. 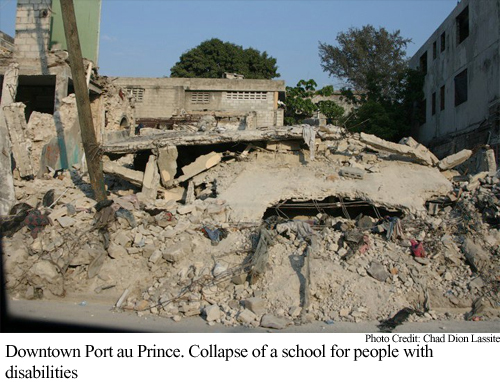 Haiti is in desperate need of the educational infrastructure to train social workers, says Antoine Atouriste, MSW, a retired Haitian Army colonel who moved to the United States in the late 1990s to pursue higher education, including earning a graduate degree in social work from Barry University in Miami Shores, FL. After working for the Florida Department of Children and Families and teaching English as a Second Language courses in the Miami area, Atouriste returned to Haiti in 2004 to put his social work skills to use to help his country. Atouriste compares the social workers traveling to Haiti to assist earthquake victims historical icons of social work, including Jane Addams and Mary Richmond. He says the renewed attention on Haiti after the earthquake provides a valuable opportunity for social workers from all over the world to help reform and standardize its bachelor’slevel social work curriculum, develop graduate-level programs and put structures in place to promote social work research. Just as social workers’ efforts in Haiti have brought new awareness to the need to develop the country’s social work profession, they have also exposed the need for American social workers to be better prepared to serve in international capacities. Incorporating international perspectives into social work curriculum means more than having an occasional class discussion about world events, Bruce says. Students should have more opportunities to do field placements with international organizations, and social workers who want to set up their own organizations need more ways to learn about the administration of organizations operating outside the United States. But education is only part of the equation. The social work profession must recognize and capitalize on the increasingly global nature of social problems and solutions or risk remaining unknown in many parts of the world, especially in developing countries, Atouriste says. 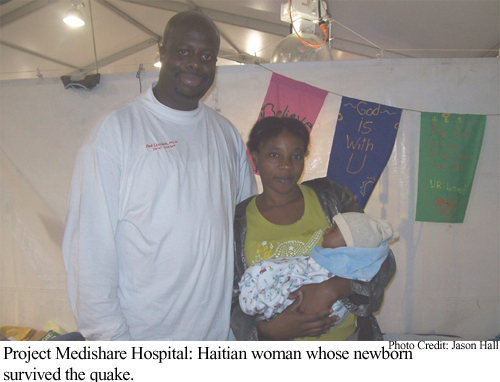 When Chad Dion Lassiter, MSW, traveled to Haiti in March to aid in the reconstruction efforts, he went to help others. Little did he know that the people of Haiti would impact him as much as he impacted them. With widespread media attention of the devastation in Haiti, it’s not surprising that there are social workers looking for the same life-changing experience by traveling to Haiti to assist in the recovery efforts. But if you are such a social worker, there are several things you should consider before your trip. The following is advice from several social workers who have served in Haiti. Although much of this advice may seem elementary, sometimes it falls by the wayside in the chaos that often accompanies international relief efforts. • Prepare for an experience more intense than you imagine. When Darin Toliver, MSW, traveled to Haiti in March, he found the scope of the devastation to be much larger than he expected. “You see the news, but it’s nothing like being there firsthand,” he says. • Self-care is vital. Take time to process your experiences, both during your trip and afterwards, and recognize whether you are becoming burnt out or overwhelmed. 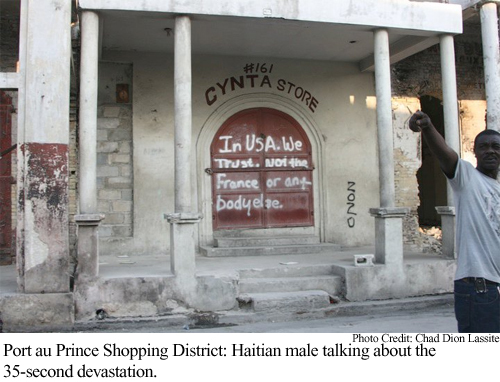 Even if you can’t travel to Haiti, there still are many ways you can aid in the reconstruction efforts, Lassiter says. You can donate money, services, and items to organizations connected to the Haitian immigrant community. If no such organizations exist in your area, you can promote research into the best practices and make other efforts to increase community and social work awareness of Haiti’s plight.